Studio City International Holdings Ltd, the controlling entity of the Studio City casino resort (pictured) in Cotai, Macau, rose as much as 48 percent in its trading debut Thursday on the New York Stock Exchange. The company’s stock price closed at US$15.50 per share, up 24 percent in its first trading day. Studio City International Holdings raised total gross proceeds of approximately US$359.4 million from an initial public offering (IPO) of American depositary shares. The company priced its shares at the top of its targeted range. The firm sold 28.75 million American depositary shares for US$12.50 apiece, each ADS representing four class A ordinary shares of the company. The ADSs began trading on the New York Stock Exchange on Thursday, under the ticker “MSC”. The news of the ADSs’ pricing was given by Studio City International Holdings’ 60-percent owner, Melco Resorts and Entertainment Ltd, in a Thursday release. The remaining 40 percent stake in Studio City International Holdings is held by New Cotai Holdings LLC, an entity controlled by U.S.-based investment firms Silver Point Capital LP and Oaktree Capital Management LP. The Studio City controlling entity had announced a price range for the IPO earlier this month. 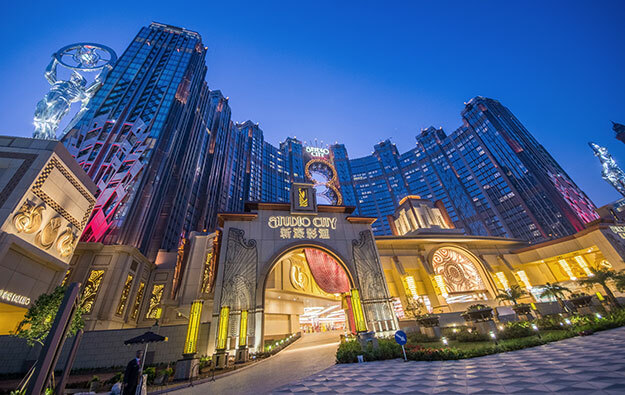 MCE Cotai Investments Ltd, a unit of Melco Resorts and the controlling shareholder of Studio City International Holdings, has been allocated 15.33 million ADSs, amounting to 53.3-percent of the aggregate ADSs that were offered. Certain affiliates of New Cotai have been allocated 10.22 million ADSs, or 35.5 percent of the total amount on offer. According to a Thursday filing from Studio City International Holdings to the U.S. Securities Exchange Commission (SEC), MCE Cotai will own about 108.77 million Class A shares and 15.33 million ADSs, holding in aggregate a 57.3-percent voting interest in the recently-listed company. Melco Resorts is already listed in the U.S., namely on Nasdaq, in New York. The firm is controlled by Melco International Development Ltd, the latter being listed on the Hong Kong Stock Exchange. In aggregate, New Cotai and its affiliates will own a 38.2-percent voting interest in Studio City International Holdings. New Cotai will also have a participation interest in Studio City International Holdings’ subsidiary, MSC Cotai Ltd, which will entitle New Cotai to receive from MSC Cotai an amount equal to 32.3 percent of the amount of any distribution, dividend or other consideration paid by MSC Cotai. The public listing of Studio City International Holdings will be accompanied by a private placement to Melco International, according to Thursday’s filing to the SEC. Studio City International Holdings said it expected to receive net proceeds of approximately US$342.8 million from the offering, and nearly US$2.5 million from the concurrent private placement. “We intend to apply the net proceeds … to acquire newly-issued MSC Cotai shares. In turn, MSC Cotai intends to apply the net proceeds it receives from us for repayment of certain of our existing indebtedness,” said the parent firm. Studio City International Holdings also granted the IPO underwriters a 30-day option to purchase up to an additional 4.3 million ADSs. Deutsche Bank Securities Inc, Credit Suisse Securities (USA) LLC and Morgan Stanley & Co International plc are acting as joint bookrunners of this offering and as the representatives of the underwriters.